in experiential learning, therapy, healing, and spiritual enrichment! 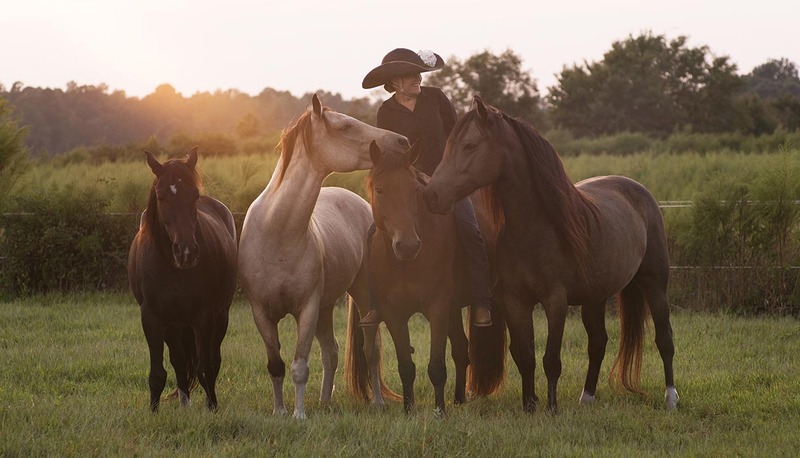 Keynote Speakers: Just after dinner, mustang advocate Mary Miller Jordan (Friday) and a host of Speakers including Diedre West, Ann Alden, Pam Allen LeBlanc, Sabina Cox, Sheryl Marks Brown, Carol Caddes, and Jess Campmans (Saturday) will present about key topics in our field. Live Demonstrations with Horses: Learn by being active observers as presenters show a model, exercise, or illustrate a concept with horses. 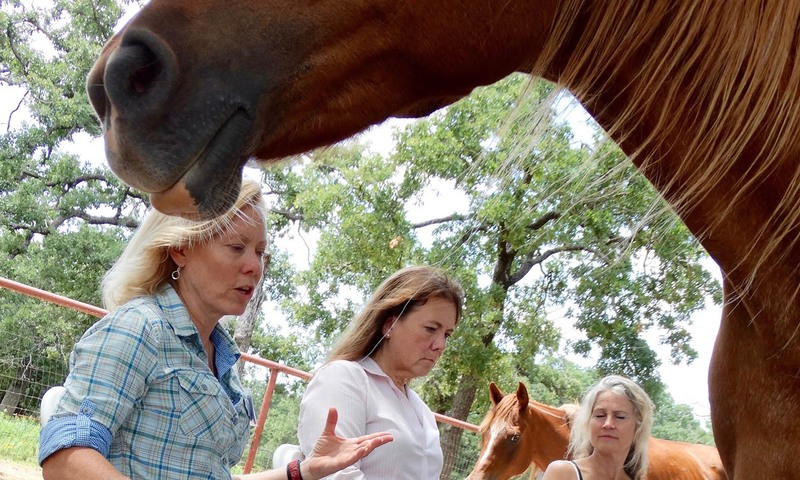 Smaller Group Facilitations with Horses: Each day, you choose your favorite topic and join a more intimate experiential learning group. 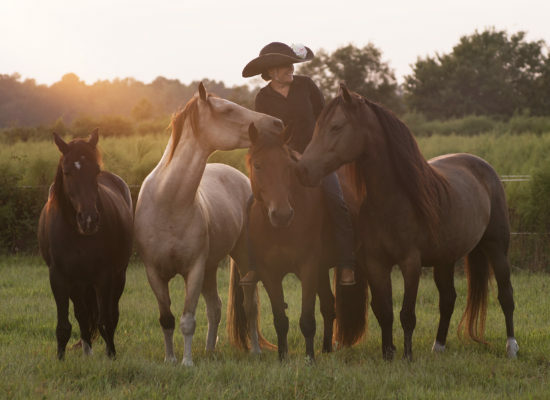 In these smaller breakout sessions with horses, you will experience as a participant in interaction with the horses. Learn an aspect of facilitation, and how if feels to experience the process. Apply your learning to your own practice. 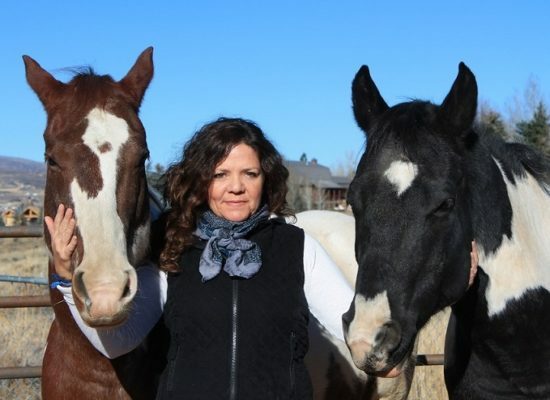 The 6th Annual Healing with Horse Symposium will be in host Diedre West's heart home, a beautiful little mountain valley resort just north of Salt Lake City, Utah. The location and the absolutely gorgeous valley within the northern Wasatch Mountains near Salt Lake City, Utah that can bring your learning and networking processes into an unbelievable and life-changing full retreat experience. 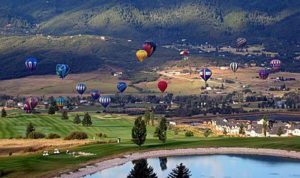 Marked by two world class ski resorts that include summer activities, a large lake and mountain streams with world class fishing, mountain trails used for horseback riding, mountain biking, and hiking, and tons of wildlife, this is a very special place. Stay tuned for more offerings from the area. Come for the Symposium Full Retreat Package, and stay a day or two beyond to take in this mountain resort area's attractions and offerings! Learn alongside the Keynote Speakers as they participate in the conference workshops and breakouts, not just as speakers but as fellow participants and learners. 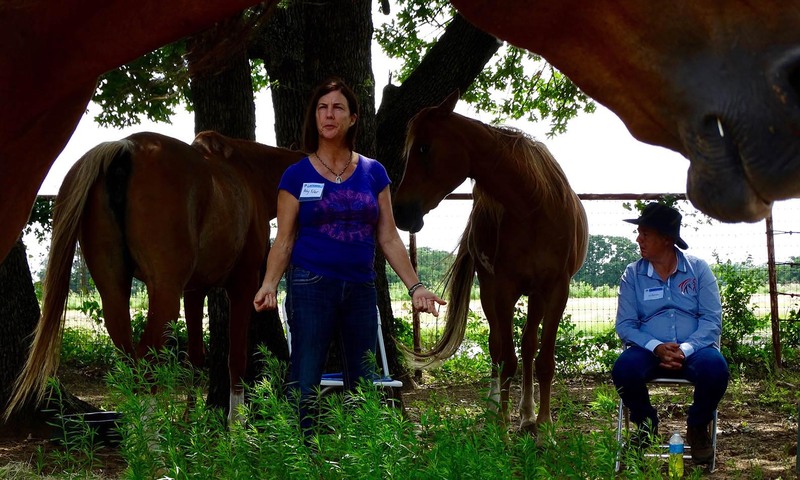 Multiple choices during breakout session times for small-group personal, experiential learning with horses. And the horses? They are the herd you may have helped keep together! Diedre's herd of 10 therapy horses--horses with lifetimes in this work and about whom countless people (not just Diedre!) have credited with saving their lives--will be hosting, along with 3 of Keynote Speaker Mary Miller Jordan's Wild Mustang Guides! 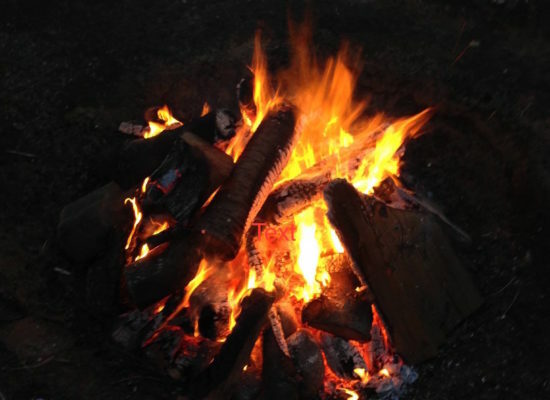 Time spent at a fire circle with elders in the field including Barbara Rector, Ann Alden, and many of the Symposium Presenters in which you can informally listen and converse while sitting around a fire. This is my favorite event! Facebook Groups are available to help you organize, prepare, and share prior to and after the Symposium. Mary Miller-Jordan will be providing our Friday evening keynote address. Then Saturday just before lunch Mary will do an all-conference demonstration with three of her Mustang Guides. Then, a whole host of presenters will take the baton and provide a keynote address Saturday evening. These presenters include: Diedre West, Ann Alden, Sabina Cox, Pam Allen-LeBlanc, Sheryl Brown, Carol Caddes, and Jess Campmans, and they will talk about some highlight of their experience in a collective healing journey. This PANEL talk will expand to YOU. As an essential, unmistakeable part of the Collective, you will be able to expand your network in this keynote-turned-party! Chronological List of Events below, or go to the Meet the Presenter's page. 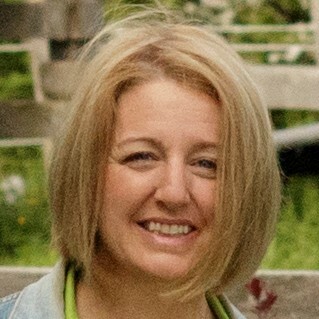 And to start us out on Wednesday, May 29th, Pam Allen-LeBlanc of Hidden Brook Farm in New Brunswick, Canada, will offer a 2-day Usui/Holy Fire® III Reiki I&II class. This is your chance to learn this incredibly powerful healing modality that Diedre credits for much healing and immediate pain ~ physical, emotional, and spiritual ~ relief. 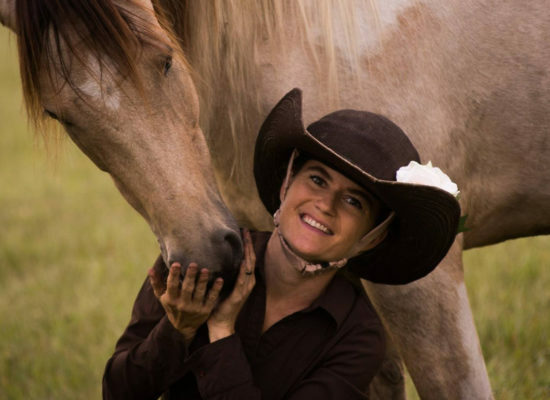 Equine practice in Trauma Resiliency Resources Warrior Camps will be the focus of the second 1-day Workshop held before the conference begins Friday, May 31st, led by Eva Usadi from New York City, and Alejandra Lara from Park City, Utah. Then on Monday June 3, Mary Miller-Jordan offers the post-conference workshop. This workshop will focus on the interrelated skill sets like the Peace Pocket Mary discusses in her 2019 Tele Summit talk. What is more, Mary will have three of her Wild Mustang Guides present to co-facilitate this workshop. 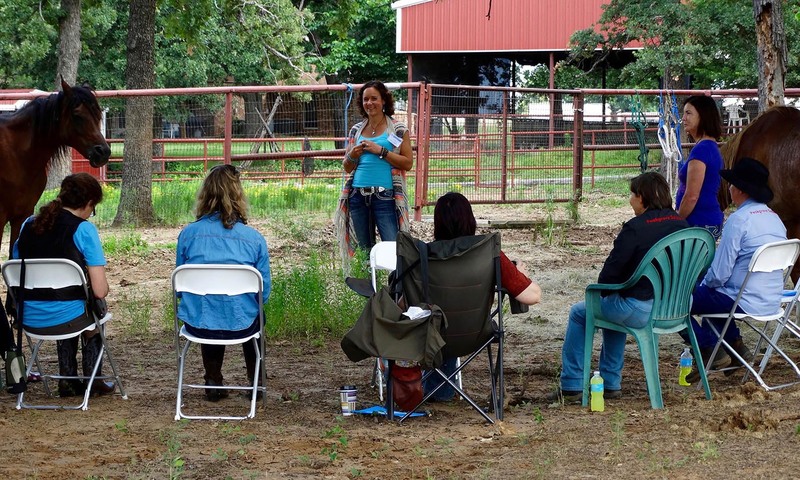 This is a fabulous opportunity to learn from Mary with her own herd members who are part of her Wild Horse Course! 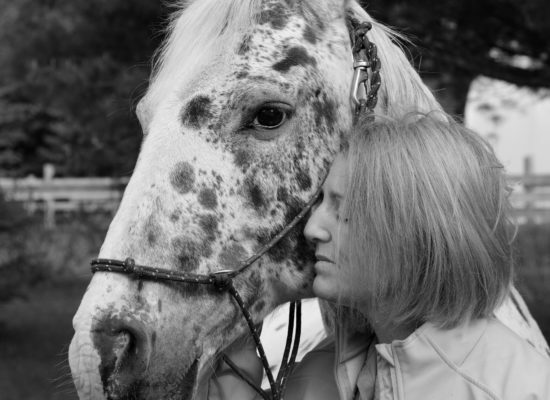 And wrapping things up on Tuesday June 4, Pam Allen-LeBlanc offers a 1-day Animal Communication Course. 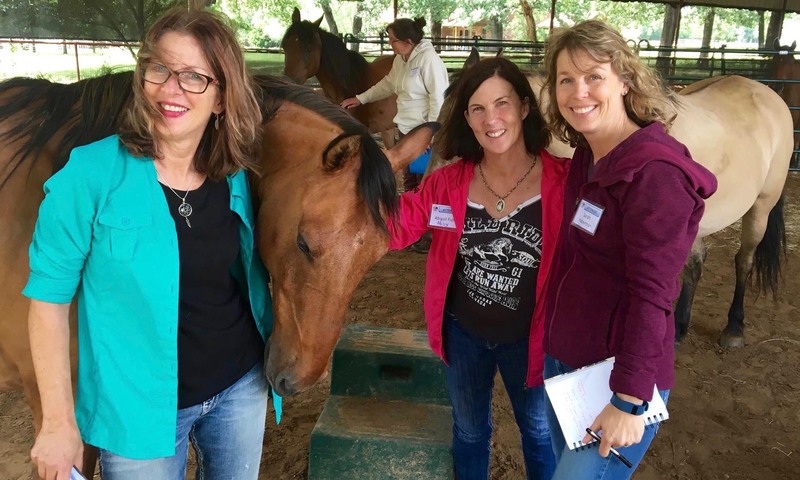 Reviews from her Animal Communication breakout session at the 2017 Symposium were off the charts. A great opportunity to learn in the expanded energy that only Pam can open. And then the breakouts! We will have multiple concurrent breakouts with a wide range of learnings from cutting edge to teachings that will help you get started or revive your practice with new methodologies, community and client-base building ideas and strategies, and so much more. For more information about the specific sessions, check out the Meet the Presenters page. To check out the schedule and see presenter names and topic titles, just scroll below. Ways to Attend this 6th Annual Symposium! You can make it into a life-changing, nature-based immersion retreat by purchasing the conference and all the pre- and post-conference workshops for a full week's worth of offerings extending from Wednesday May 29 - Tuesday June 4 as a full package. Or you can just attend the conference, which begins at 4pm Friday, March 31 and ends at 5pm Sunday June 2nd. Note there is a free campfire gathering for all presenters and attendees from 5:30 pm into the evening Sunday. You can purchase Friday, Saturday or Sunday at the conference individually. You can then add as many of the 4 pre- and post-conference workshops and clinics as you'd like in an a la carte fashion. And while dinner comes with your symposium fee, if you want to bring a non-horsey friend or partner, you can even purchase the Friday and Saturday dinner and keynote address separately so they can join you for dinner! Is the price still too high, or do you want to be part of the inner workings of the conference? Check out our work-study options, which allow you to attend at a reduced fee, or for free, depending on the job you are accepted for. Want to Meet the Presenters? In the original Reiki ideals, Dr. Usui says that Reiki is “The secret art of inviting happiness” and “The miraculous medicine of all diseases”. It is known as a Japanese technique for stress reduction and relaxation that also promotes healing. It was discovered by Dr. Mikao Usui in the early 1900s. Reiki combines Rei or Spiritual Wisdom with Ki or Life Energy – with some amazing results. Reiki can never cause harm. It never depletes your energy. Anyone can learn it. And once you have been attuned, whether you choose to use it or not, it will be with you for the rest of your life. Reiki is not taught in the way other healing techniques are taught. The ability is transferred to the student by the Reiki Master during a placement process. Reiki has traditionally been taught together with Reiki 1 on one day and Reiki 2 the following day. When Reiki 1 & 2 are taken together, it creates a very powerful effect. Reiki 1 (Shoden) is an introduction to Reiki. It is the first step in learning Reiki and is all about self treatment and healing though level 1 practitioners can also work on family and friends. This is the most critical step in learning Reiki. Once you have received Reiki, the ability to use it never goes away. Reiki level 2 (Okuden) brings things to a whole new level by introducing symbols. The energy becomes much more powerful and you gain the ability to send Reiki from a distance, to practice Reiki professionally on others if you wish, to create a Reiki grid and you learn Japanese Reiki techniques. 4pm: Opening Ceremony and Equine Experiential Session. (Note: This talk is part of the Symposium, but can also be purchased and attended separately from the whole conference. Go to the Symposium Registration page to sign up). Fire Circle Gathering with our Elders featuring Barbara Rector and Ann Alden, and the Symposium's presenters from the U.S. and Canada. Gather around the fire circle and share conversation with these founders, leaders, practitioners, and fellow participants. There is an impetus in most of Western Culture to stand on the shoulders of those who went before without really honoring or seeing those "Elders" (meaning wise ones whose wisdom comes from experience and personal knowledge of a history). Now is your chance to break that pattern. 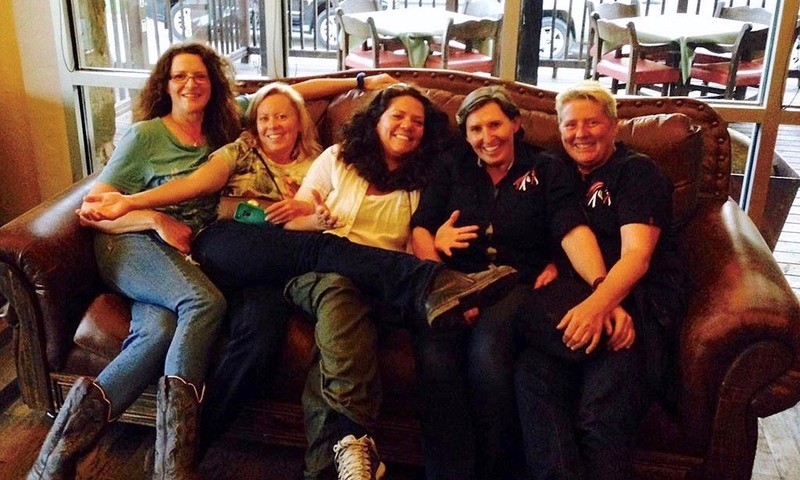 To hear about some of the amazing horses who led these leaders into their work, to learn what matters to them about developing programs, and to laugh and storytell over a fire. I can't think of a much better way to wrap up a life-changing learning weekend, can you?! 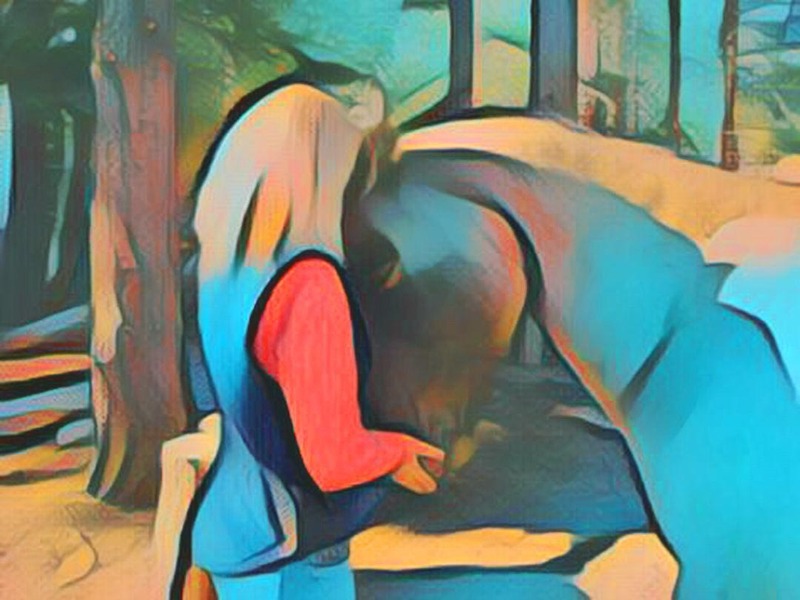 We take into account not just the horse's behavior, but more importantly, each individual horse's energetic body, or energetic imprint, as we build our relationship and ask the horse to do things for us, or accept "training,"
We learn about the non-existence of "no," the "yes" called a peace pocket, and so much more! 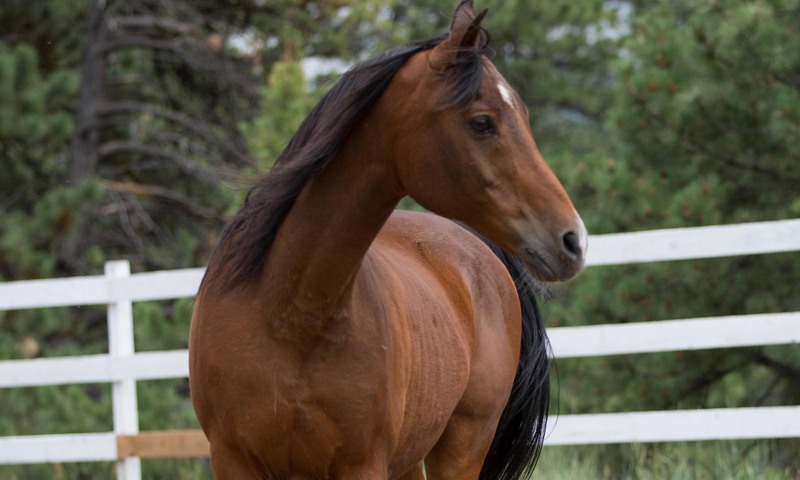 If you've been looking for that "horse person" who does not diminish or train--or teach you to interact--in ways that are at odds with your view of your horse(s)' unique intelligences, then this will be the talk for you. 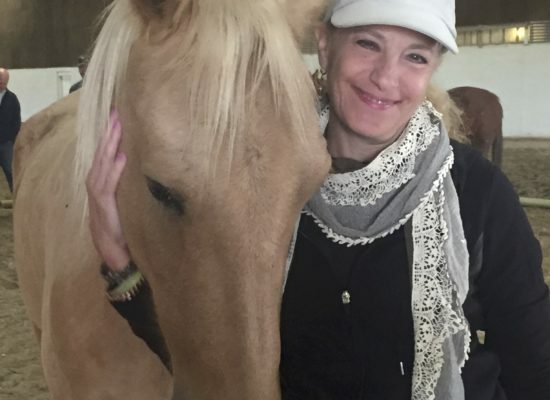 It is possible to communicate with animals – and because I had to work so hard to learn this skill, I’ve become quite adept at helping others learn the art of animal communication. In our deeper, Tao of Equus Emotional Healing clinic, we discovered that most people could hear the horses at the end of the first day. 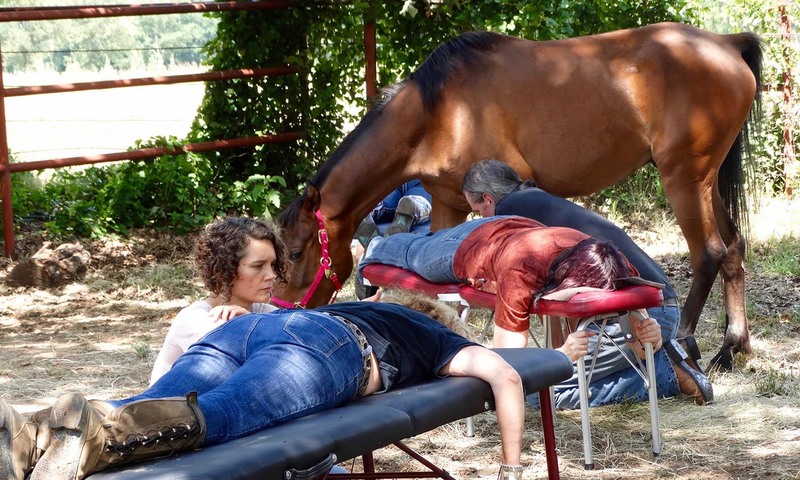 Then we were asked to create this course for the people who simply wish to hear the animals without doing the deeper horse work – and it has proven to be a resounding success with most of the participants being able to communicate with and “hear” their animal friends upon completion of this fun, magical workshop. The key to animal communication is becoming still, learning to enter the heart space and then gaining confidence with what you hear. And there are some rules and ethics around it too that are really important. Scientists including Dr. Jane Goodall recognize that not only are animals communicating with us – but they understand everything we say, think and feel. In her remarkable movie, “When Animals Talk”, Jane and a fellow scientist follow the science which proves Animal Communication is real. Animal communication has occurred for millenia across cultures but we lost this skill in recent generations. Come learn how to hear the animals again. It is well worth the time spent! In addition to teaching you how to hear the animals, I’ll be showing you how to dowse – to verify your results! Want to read about the Presenters and Sessions? The venue in the Ogden Mountain Valley is 45 miles away from the airport, about an hour's drive. All major car rental companies are available from airports. Uber is available. Sign up for the Uber App. Friday and Saturday dinners are part of the Symposium, and snacks are also available. For breakfasts, lunches, and beyond, here are some places to eat!